Gliding along with the breeze blowing through your hair. 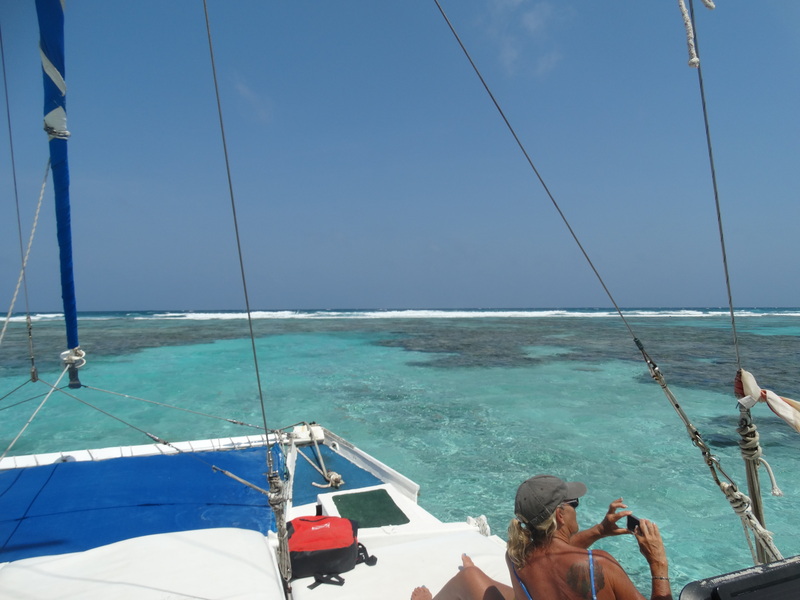 The warmth of the sun on your skin and the cooling drops of sea spray that occasionally come up to cool you as the catamaran slices through the crystal clear aqua colored waters along the Meso American Reef off the coast of Belize. Reggae music playing on the boats sound system. The very attentive and friendly crew of the No Rush led by Captain Steve takes care that you have a beer or rum punch to enjoy as you journey along to your snorkeling site at Mexico Rocks. Along the way pointing out any interesting sights that you come across. You can see the waves crashing over the reef a short distance away from the calmer water you journey on inside the reef. Giant white puffy clouds float along through the brilliant blue skies occasionally dropping a spot of shade onto you. That is a great beginning to the day. Although there are plenty of tour providers on Ambergris Caye, we chose the No Rush because we had traveled with them on several other occasions and had a great experience. 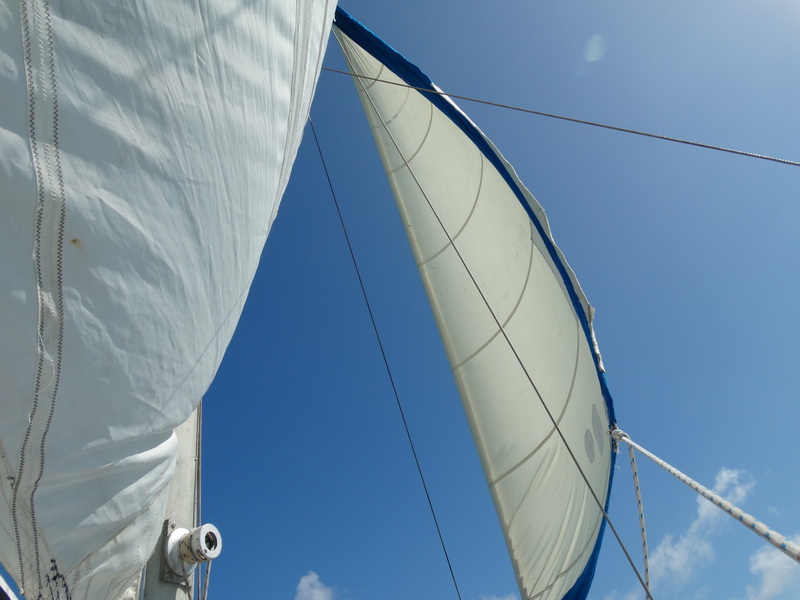 The No Rush catamaran is owned by Unity Tours a completely family run local business. They will tailor the day to your specifications and the level of comfort of your group. 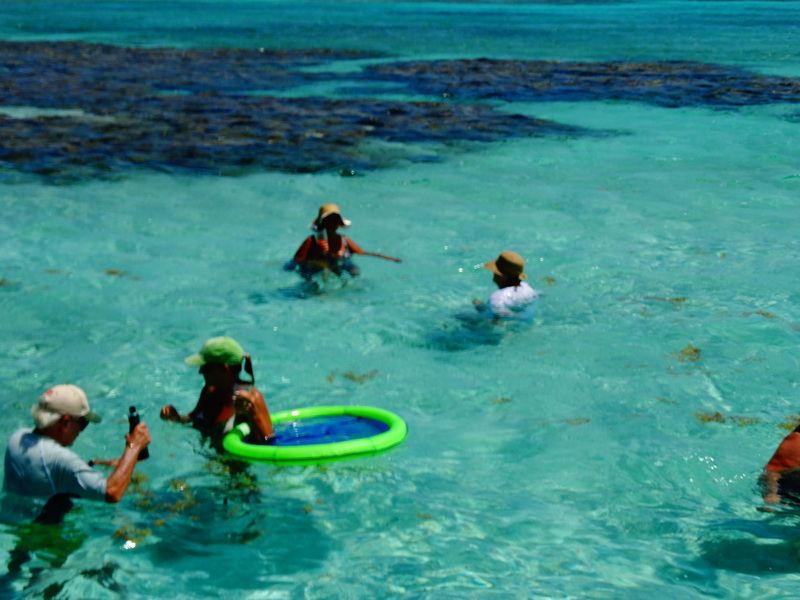 From snorkeling Belize’s oldest marine reserve,the Hol Chan Marine Reserve. Hol Chan is Mayan for ‘little channel.” The entire reserve focuses on a cut through the reef (called a quebrada) which is little more than 25 yards wide and 30 feet deep about 4 miles southeast of San Pedro. Hol Chan is teeming with sea life and you will see hundreds of types of brightly colored reef fish as well as rays and sea turtles and sharks. Also in that area is Shark Ray Alley which is exactly what you would imagine it is. Shark Ray Alley has a maximum depth of 30 feet and excellent visibility. You can almost always see all species of fish including jacks, groupers, snappers, parrot fish, angel fish, barracuda, eels, spider crabs, lobster, and nurse sharks. For our day out on the water we chose Mexico Rocks. Mexico Rocks is a shallow patch reef complex located off the far northern tip of Ambergris Caye, in the Barrier Reef. The site consists of approximately 100 patch reefs, clustered on a ridge of Limestone, and is composed predominantly of boulder corals. We were the only people there on the day we went, which was quite nice. The marine reserves can get very crowded with boats and tourists. It was like having your own private sea to explore. Once we arrived at our spot, Captain Steve set out in a kayak to catch us some lunch while the passengers got ready to jump into the warm and clear water to snorkel. We had a crew of three, the Captain as well as Roy and Fish. Fish dove into the water and after a few minutes popped up with some conch. Roy provided the guests with some rum punch as his shipmate proceeded to bust open the conch shells to remove the tasty meat inside. It was very interesting watching the process of harvesting the conch and cleaning it. Within a few minutes we had the freshest conch ceviche you can get, directly from the sea to the table. Yummy. A snack and a beverage that hit the spot, now time to get into the water and explore this beautiful environment. We spent several hours in and out of the water or sunning on the boat deck. Some of us just lounged on the catamarans front trampoline and soaked in the suns glorious warm rays. 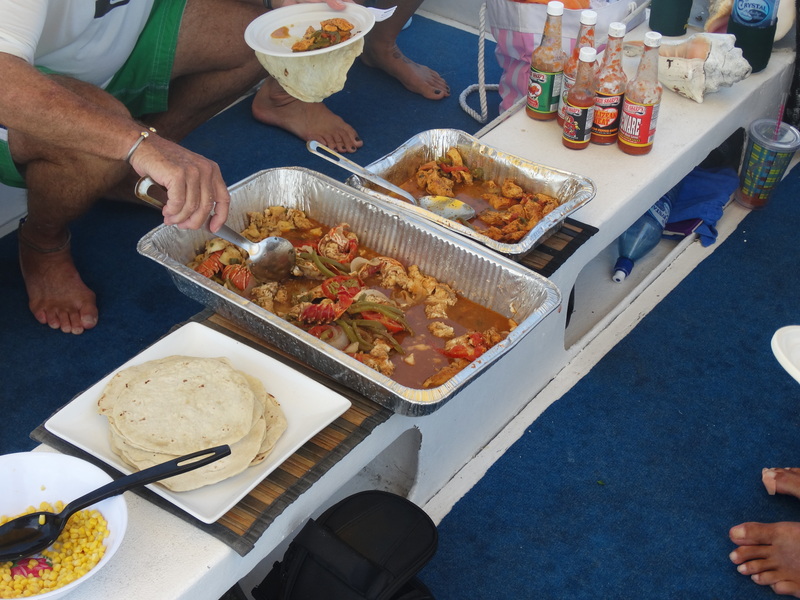 The captain arrived back at the boat with enough fish for the mid day meal and they served a nice seafood dish cooked in the Belizean style as well as some curried chicken with fresh tortillas. All of this was prepared in the small cabin below deck where glasses of rum punch would mysteriously appear from. Some rice and beans rounded out the meal. Depending on your excursion, the lunch is sometimes prepared on a quiet beach where you can finish your afternoon swimming. 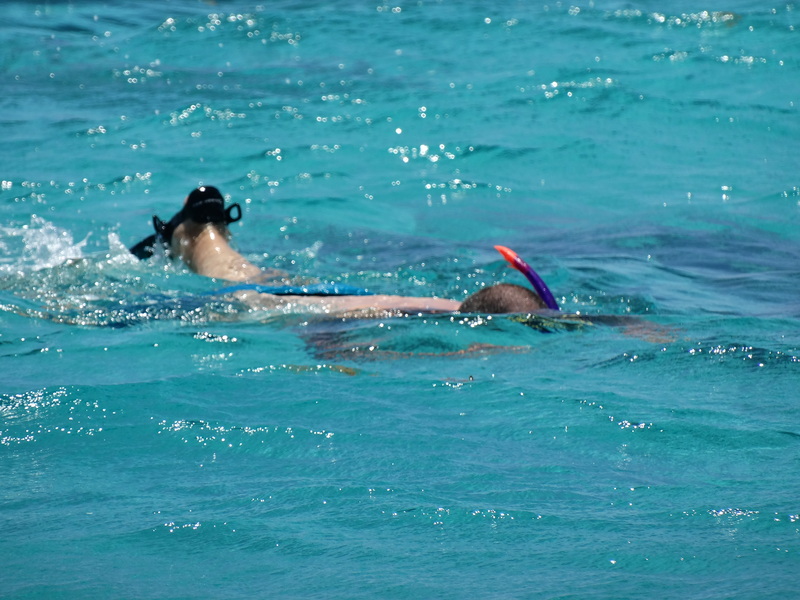 We chose to stay out on the water to take advantage of the snorkeling experience and lack of other boats in the area. An amazing day in the brilliant waters of the Caribbean, made even more special by the crew of the No Rush. They take great pride in educating their guests about the diversity and culture of Belize and were eager to answer questions. The crew is available to give you tips and assistance and ensure your comfort in the water. 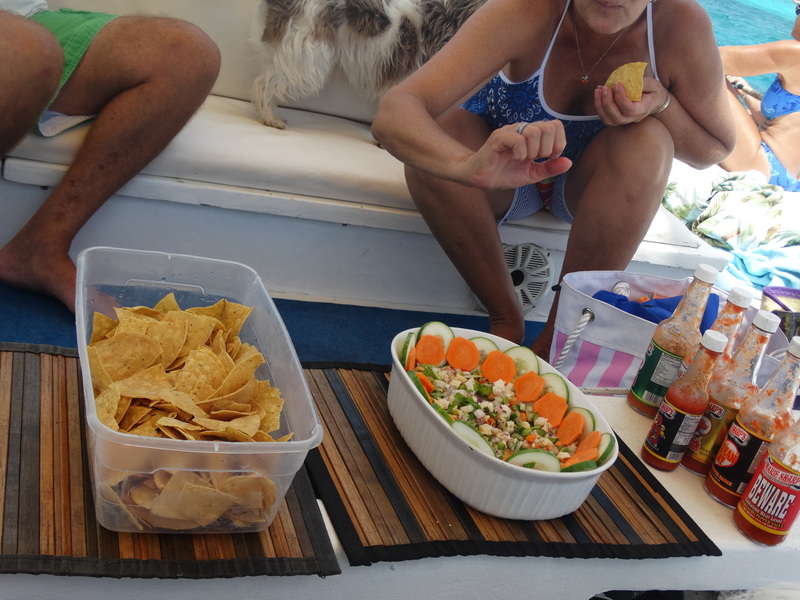 Our day of sailing, all inclusive of snacks and lunch. 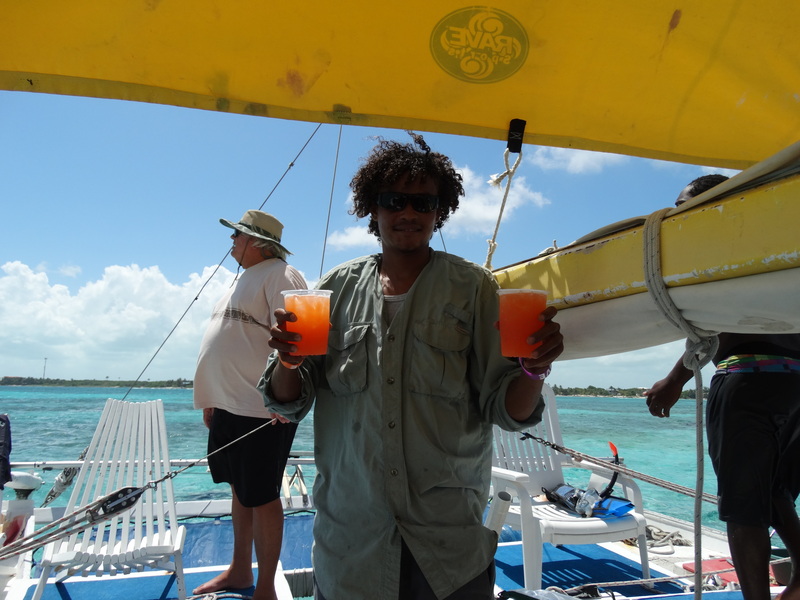 Beverages were provided including unlimited water, soft drinks, beer and rum punch ran $75.00 US per person. When looking at all that was provided, a very reasonable way to spend the day. Previous PostNew Year’s Day and Bucketlust!